Many healthy people suffer with back pain. It's one of the most debilitating pains -- because it's felt during nearly every activity you do. Here, people share their personal experiences and favorite treatments for back pain. 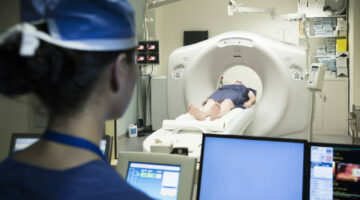 See what it's like to have an MRI to diagnose the source of your pain, plus natural home remedies to treat back pain -- including visiting a chiropractor, meditating, and getting massage therapy. If you haven’t been to a chiropractor before, then you’re probably a little nervous about getting an adjustment — and you’re not sure what to expect. Here, a chiropractor answers your questions, revealing what your first chiropractic visit will be like, the average chiropractor visit cost, and an overview of what a chiropractor does when you visit their office. Should You Let A Chiropractor Crack Your Neck? Is The ‘Neck Twist’ A Safe Way To Remedy Neck Pain? I suffer from ongoing neck pain. My favorite ‘adjustment’ at the chiropractor’s office (up til now) has been what I refer to as ‘the neck crack’ or ‘that one that twists your neck’. Then, I read about the dangers of having a chiropractor crack your neck, so I studied up on it. Here’s what I’ve learned about neck manipulation — both from having it done myself and from talking to my chiropractor and others about it. Do you like getting massages? I do, in fact it’s my favorite personal treat. There are many different types of massages to choose from — each has different benefits. From deep tissue massage to hot stone massage, there’s a style and unique benefit for everyone. Here’s what you can expect from each type of massage. What boosts your mood, lowers your stress, benefits your health, and is FREE & available to anyone? These are benefits of meditation & reasons to meditate daily! Michael Phelps, Justin Bieber & Jennifer Aniston do it – do you? Cupping therapy is a form of acupuncture. I’ve got some tips to see if it’s right for you. Prescription Drug Abuse: 5 Ways To Avoid & Overcome Addiction To Prescription Painkillers That Worked For Me! 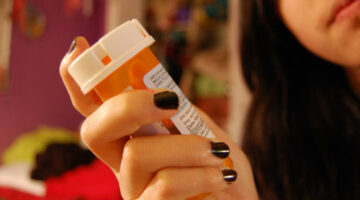 Anyone can fall victim to prescription drug abuse without even realizing it… I did! I’m proof these tips will get you through prescription drug addiction. Do you have an office job? Sit behind a computer for a living? You can avoid the most common desk job health risks with these 5 simple tips. There are many ways to reduce the aggravation of job fatigue, so here a few tips that I would like to share to make your day in the cubicle less physically burdensome. 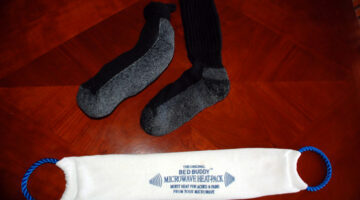 I Finally Found The Best Microwave Heating Pads: Thermal-Aid Sectioned Hot/Cold Packs And Teddy Bears! I absolutely love my microwave heating pad. It works for all of my aches and pains. My favorite is the large sectioned microwave heating pack from Thermal-Aid. It’s actually a heating AND cooling pack in one! It comes in lots of shapes and sizes and conforms to your sore body parts. I also got one of their cute heat/ice packs for children shaped like cuddly teddy bears. These have become my favorite new heating pads! Why I Highly Recommend A Chiropractor… It Has Worked For Me! I was actually very, very VERY skeptical of chiropractors at first. But, after visiting a chiropractor for nearly 2 years now, I’m now singing the praises of chiropractic care. Here’s why.